Clauss & Company Insurance Agency is an Independent Insurance Agency, so we can choose from leading Insurance Companies to find your optimum Insurance coverage at a competitive price. We have been here in Western New York since 1919, helping people like you find the right insurance coverage for your recreational vehicles and watercraft. We understand that you buy insurance hoping that you'll never need it, but know that when you do, the claims process will be fast and fair. 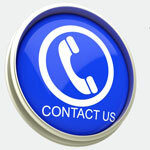 So if you ever need to make a claim, you can be assured that we'll be here to provide any support that you may need. 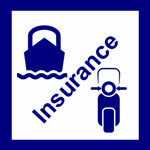 Whether you are seeking to insure your Motorcycle, Boat/Jetski, RV, Snowmobile, ATV, or any other kind of recreational vehicle, the Recreational Vehicle Insurance Experts at Clauss & Company Insurance Agency can help you find your optimum Insurance Policy at a price you can afford. You are always welcome to Contact Our Office to request a FREE consultation with an Vehicle/Watercraft Insurance Expert who can help you determine the optimum insurance policy for your needs. Motorcycle Insurance is a type of Vehicle Insurance that is designed to cover your Private Vehicles including motorcycles and side-cars. 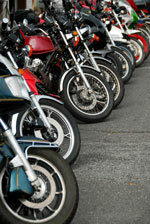 We can write liability only on an older bike, or full coverage on a new Harley. Your Motorcycle Insurance Policy provides coverage for physical damage resulting from traffic collisions, if collision is included. Comprehensive coverage addresses losses from fire, theft, and vandalism. Your Policy also provides Personal Liability Coverage for bodily injury, and property damage caused by you while riding your motorcycle. Recreational Boat Insurance is a type of Watercraft Insurance that is designed to cover your Private Watercraft including power boats & jetskis, sail boats, and paddle boats. Most carriers require a survey for boats more than 15-20 years old. Discounts are available for taking a boater safety course such as Power Squadron. 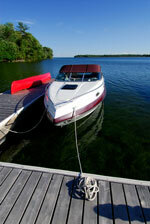 Carriers will review the owners' age, boating experience and driving record when underwriting. Your Boat Insurance Policy provides coverage for your watercraft against physical damage during use on the water or while stored on land during the off season. Your Policy also provides Personal Liability Coverage for bodily injury and / or property damage that result from your negligence while operating a watercraft. RV Insurance is a type of Vehicle Insurance that is specifically designed to cover your Private Recreational Vehicle. Some examples are motor homes and travel trailers. Your RV Insurance Policy provides coverage for your vehicle against physical damage resulting from traffic accidents when collision is included. Comprehensive coverage addresses losses from fire, theft and vandalism. Your Policy also provides Personal Liability Coverage for bodily injury and property damage caused by you while using your vehicle. Snowmobile Insurance is a type of Vehicle Insurance that is designed to cover your Private Snowmobile. Your Snowmobile Insurance Policy provides coverage for your machine against loss due to physical damage resulting from collisions, and may cover loss due to theft. Your Policy also provides Personal Liability Coverage for bodily njury or property damage that result from your operation of the sled. ATV Insurance is a type of Vehicle Insurance that is designed to cover your Private ATVs. Your ATV Insurance Policy provides coverage for physical damage resulting from collisions, and may also be configured to cover loss due to theft. Your Policy also provides Personal Liability Coverage for bodily injury or property damage caused by you while operating your ATV. As with a personal auto policy, one of the main factors that determine the premium is your driving record. Carriers will consider any violations or accidents in the past 3-5 years. They will also rate based on the number of years experience, credit rating, where the boat or vehicle will be operated, its size, and cost new. Boats can be written on an agreed value or actual cash value. The Insurance Experts at Clauss & Company Insurance Agency are here to help you choose your optimum Insurance Policies, with coverage that will provide the protection that you need at a price that you can comfortably afford. We understand that you buy insurance hoping that you'll never need to use it, but if you do, will know the claims process will be fast and fair. Let us help you find the right policy, from the right Insurance Company, to protect your investment in your Recreational Vehicles.